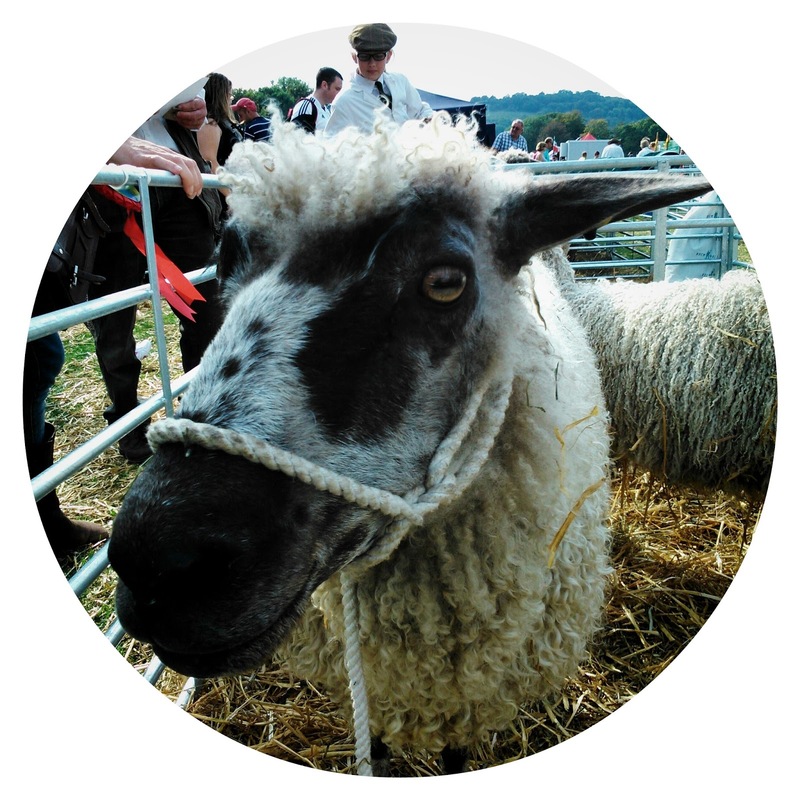 On Saturday we caught the bus from Worthing town centre taking a 20 minute ride out to Findon Village for its annual sheep fair. 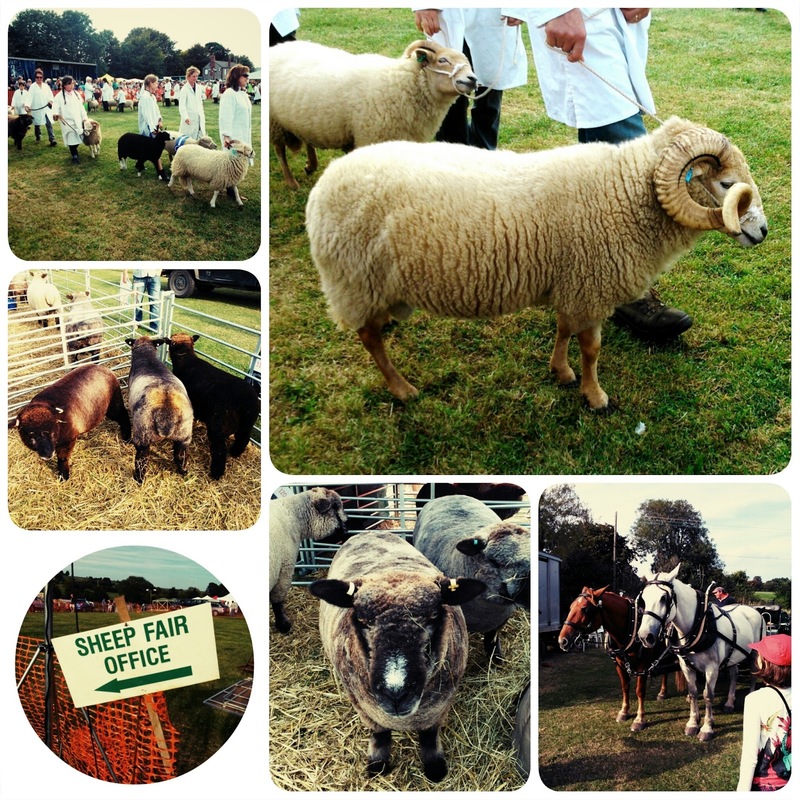 Findon Sheep Fair is famous in these parts but this is the first year I've visited. 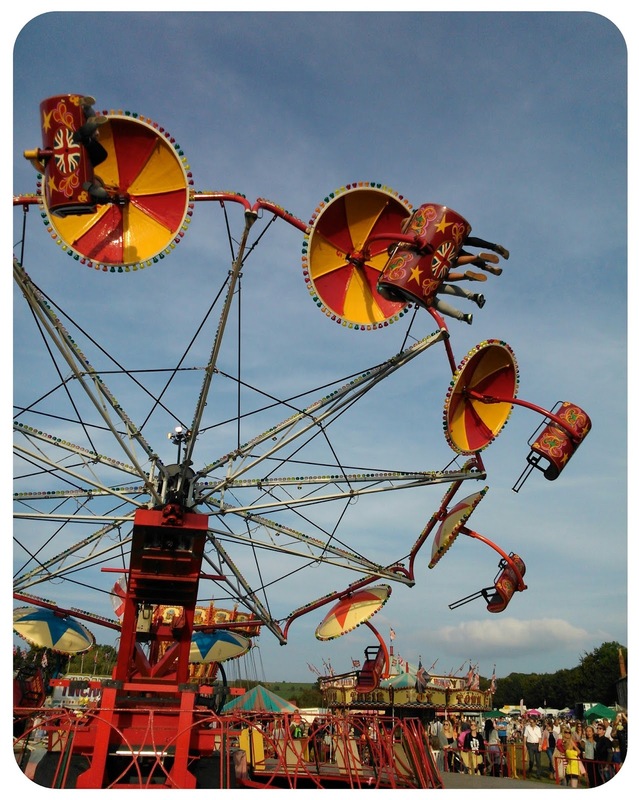 A fair has been held on Nepcote Green every year since 1261 and the Sheep Fair is said to have started on this site sometime before 1785. 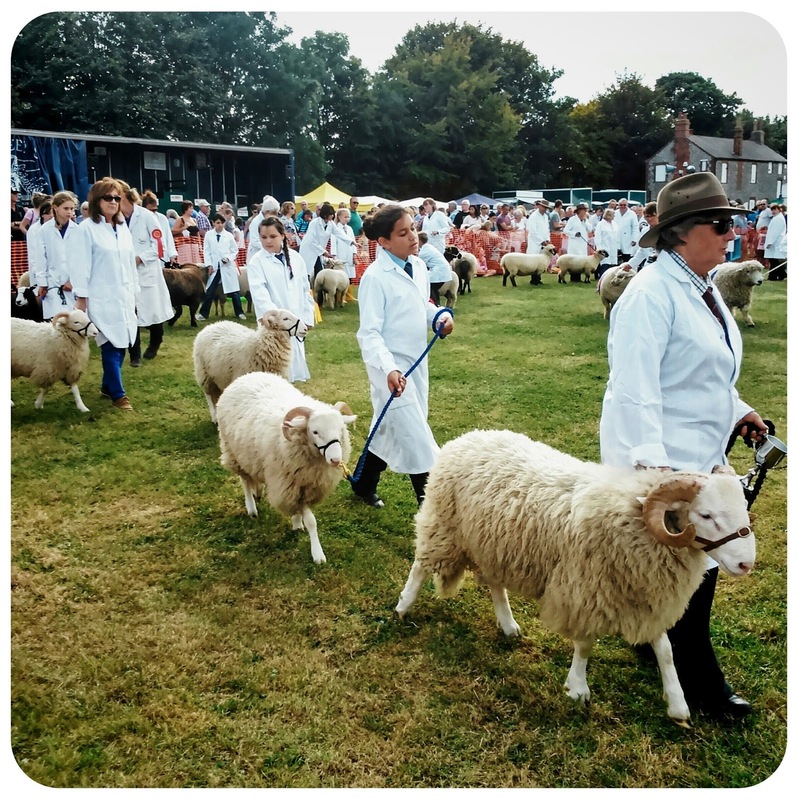 The traditional sheep auction no longer takes place but the event continues to have a Sheep Judging competition which includes a category for Young Handlers as well as a falconry display (which was excellent), heavy horses with rides in a trap, and a sheep parade. 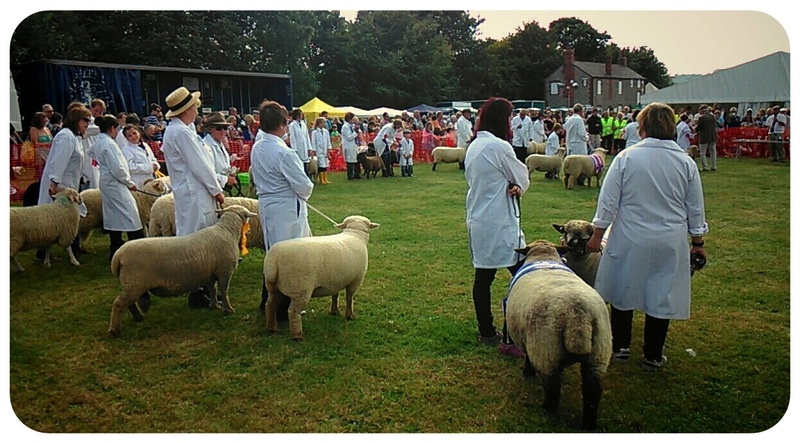 Sadly we missed the sheepdog demonstration but I'd love to return to see it next year. 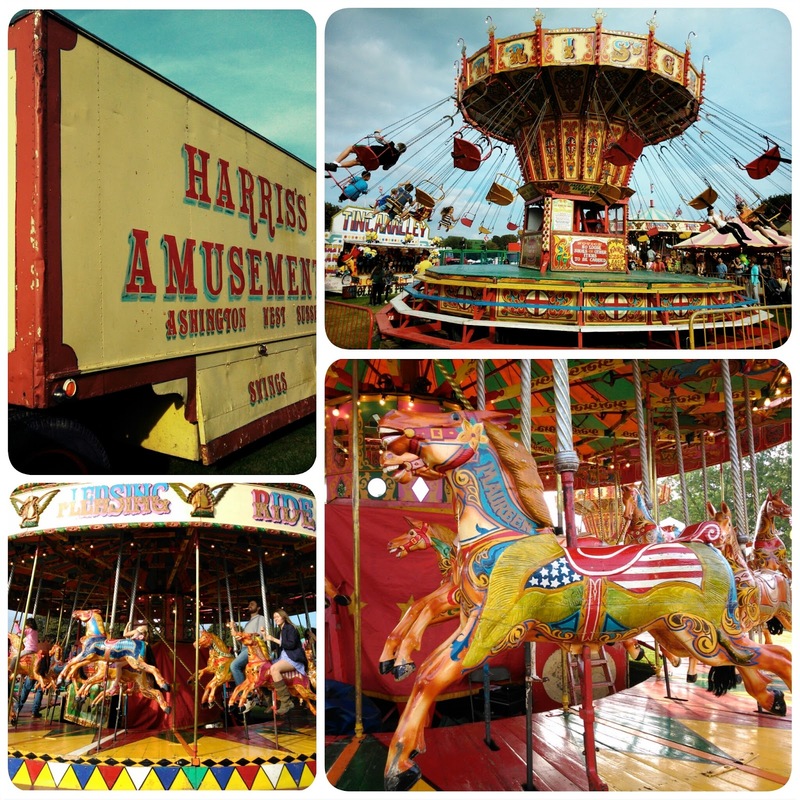 The Harris family have had an association with Findon Sheep Fair since the 1940s and it was wonderful to see Harris's Old Tyme Amusements with their colourful, old-fashioned rides. All the patterns and lettering have been painted by the current fifth generation John Harris. Hundreds of people turned out for the occasion but it seemed as though everyone except my small party had traveled there by car, with vehicles parked bumper to bumper on all the country roads surrounding Nepcote Green, a full car park and bleating rumours of gridlocked traffic preventing folk from getting to the fair. Car dependent herd mentality. The bus ride back to Worthing was hassle-free, just a 5 minute walk to the bus stop from the Green and we were home in time for tea.